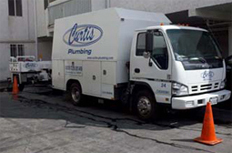 Westlake Village Plumbing, also known as Curtis Plumbing, has been serving the Westlake Village area since 1939, offering full service plumbing repair services. We’ve provided full plumbing repair services widely across the Westlake Village Area. Our family owned and operated plumbing repair service provides services like plumbing service repair, emergency service, sewer line inspection, hot water heater repairs, and plumbing water heaters. 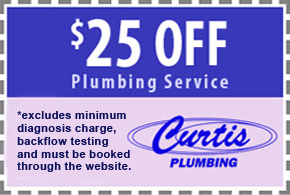 We provide local and reliable help for all your plumbing repair service needs around the clock. We offer 24 hour emergency service and immediately respond with one of our full service plumbers to satisfy all your plumbing needs. We are stocked with the most knowledgeable, punctual, and friendly technicians professionally trained to use the newest and best equipment to determine the problem and most cost efficient and timely solutions. At Westlake Village Plumbing we fit around your schedule and strive to make your plumbing experience as pleasant as it can possibly be. If you are in the Westlake Village area and are in need of any type of plumbing service and want thorough, cost-efficient service, call 800-729-8149 and we’ll send a full service plumber and provide you with an estimate immediately.